The North Course was designed by William F. Bell, son of famed golf course architect William P. Bell. The longer of the two courses at Indian Canyons, the par-72 North plays 6,943 yards and features stunning mountain views and unique, mid century modern homes, several of which were originally owned by Walt Disney. Of the six water hazards on the course, the most notable is the lake between the 9th and 18th holes that is home to the famous Disney fountain, donated by Walt Disney, which to this day shoots water over 100 feet into the air. 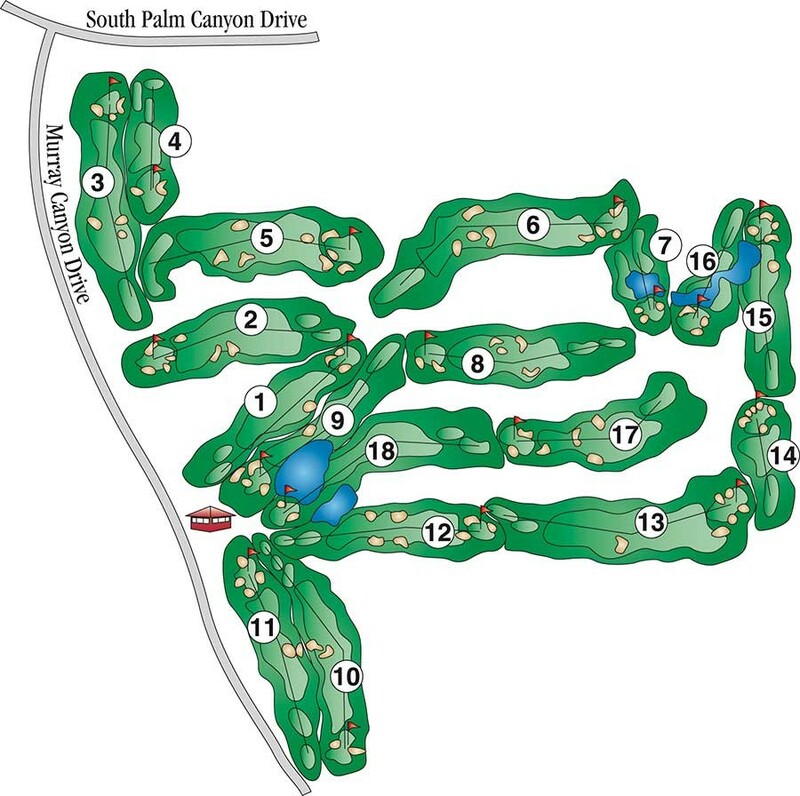 Set in Palm Springs' "Canyon" district and surrounded on three sides by the San Jacinto mountains, you can count on a pleasant, wind-free round of golf. An entirely different and distinctive round awaits on the South Course. In 2004, architect Casey O'Callahan remodeled the 6,582-yard layout with player consultant, LPGA legend Amy Alcott, who has helped make the South an area women's favorite from the 4,878-yard forward tees. This scenic course is home to four ponds and 850 palm trees. Also, 500 Washingtonia Filifera, a cherished tree of the Agua Caliente Native American tribe, are abundant throughout the course. 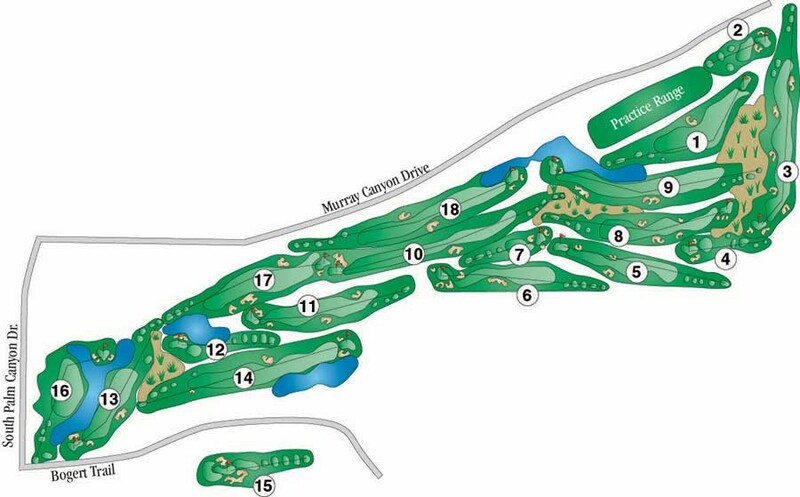 Golfers will particularly enjoy the South's five par 5's to take on during the round.